I’m a bit of a traditionalist when it comes to ukuleles so the relatively plain looks of the Ohana SK-25 are quite appealing to me. There’s no binding, the sound hole is very understated and the mahogany grain looks pretty good. It has a really authentic look and that suits me just fine. Overall despite its basic looks it’s finished to a high standard, particularly the frets which feel very smooth on the fingers. It smells great too (I’m a weirdo, I know). 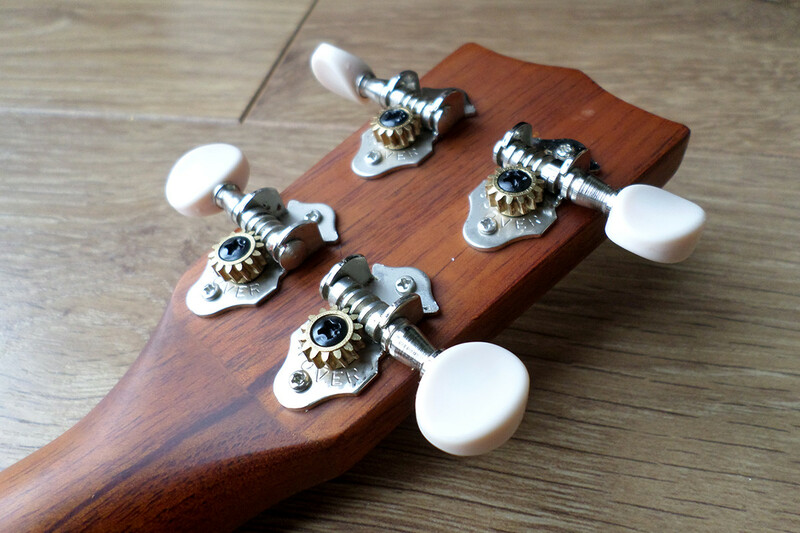 You can feel the quality in this instrument and those that are stepping up from a laminate ukulele will instantly be able to tell the difference in workmanship and materials. 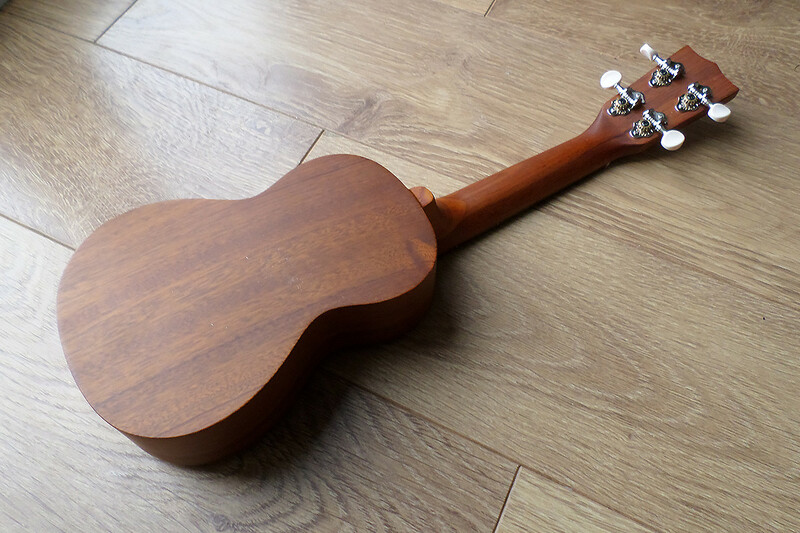 It feels great in the hand and it’s weighted very nicely – it’s probably one of the easiest ukuleles I’ve ever attempted to play standing up. If I were going to make one criticism of the look, it’s the slotted bridge. I know they’re a little bit easier when it comes to replacing strings and as a result you see them a lot at the cheaper end of the market but I like to see my strings knotted. It’s entirely a personal thing but I’m not a fan. I have to admit that I had high expectations from Ohana. Everything I’ve read and seen online was pretty positive, so the purchase seemed like an easy decision. Beyond the look and the feel I hate to say that I wasn’t hugely blown away by the sound and maybe that’s naivety from me, I don’t know. The sound itself is pleasant enough – quite warm, but perhaps a little bit muted. I don’t know what I expected, it’s more of a subtle improvement on my other ukuleles than a huge leap forward. Shortly after buying this uke I made a quick video of me playing the same song on this and an Octopus Soprano (a ukulele that I like) just to really highlight the sound differences. It wasn’t really a comparison video as both ukes occupy a different space in the market but I really wanted to be able to hear the difference in real time. I’m going to assume that you’re reading this review as you’re either stepping up from a cheaper ukulele or you’re trying to make an educated purchase and you want to buy a ukulele that isn’t at the bottom end of the market. 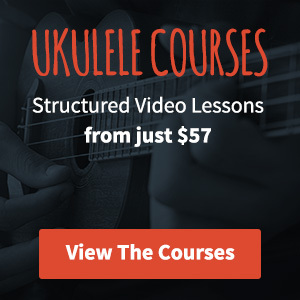 Hopefully you can hear those differences in the video – the twangy sound that you tend to get on cheaper ukuleles isn’t there. It’s a much more rounded sound overall. One problem that I have had with this ukulele is it has a very dry fretboard which isn’t something I’ve seen before and I own a lot of guitars that have rosewood fretboards. That said, it can happen, I think I was maybe a little bit unfortunate on that front. A little oil fixed this though and it wasn’t such a big deal. In some ways I’ve found this ukulele a little tough to review. On the one hand I love the way it looks and the way it feels in the hands – hell, it even smells great. On the other hand it didn’t knock me for six from a sound perspective, and while that’s maybe a little naive on my part I can only tell you what I think. Every other review I’ve read of this ukulele has been amazing, and maybe that overhyped it a little bit for me. Overall it looks great, feels great and has a very rounded, polished sound. I wanted to like it more but it just wasn’t to be. A video review from long ago. I’m coming around to it a little more now. It’s now the ukulele that I’m playing the most. What did you replace it with? 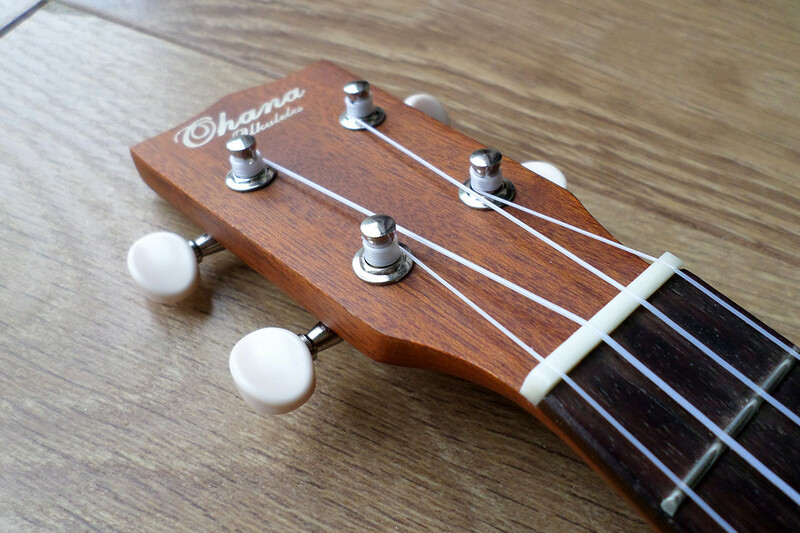 Thanks for posting this review, I ordered this little uke today. 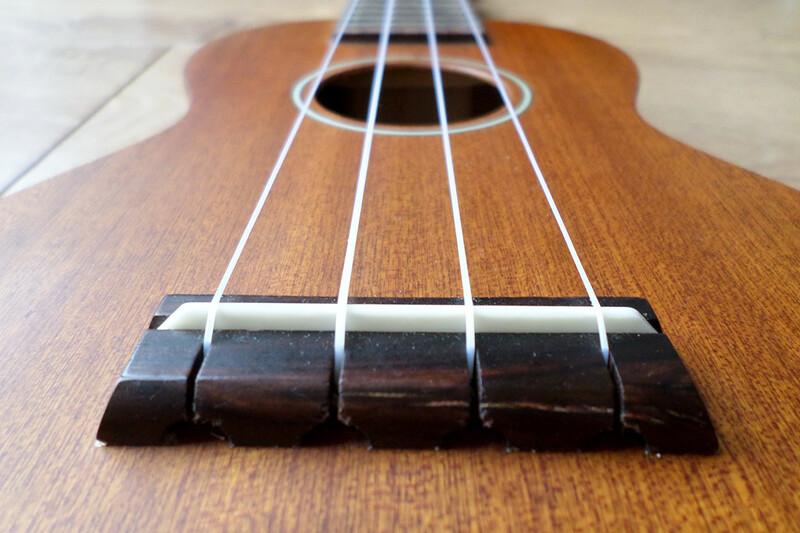 I love your site and all the knowledge you share with the ukulele community. And I absolutely loved the ‘Falling Slowly’ tune you demoed, I will start practicing this tune right away. Thanks again! 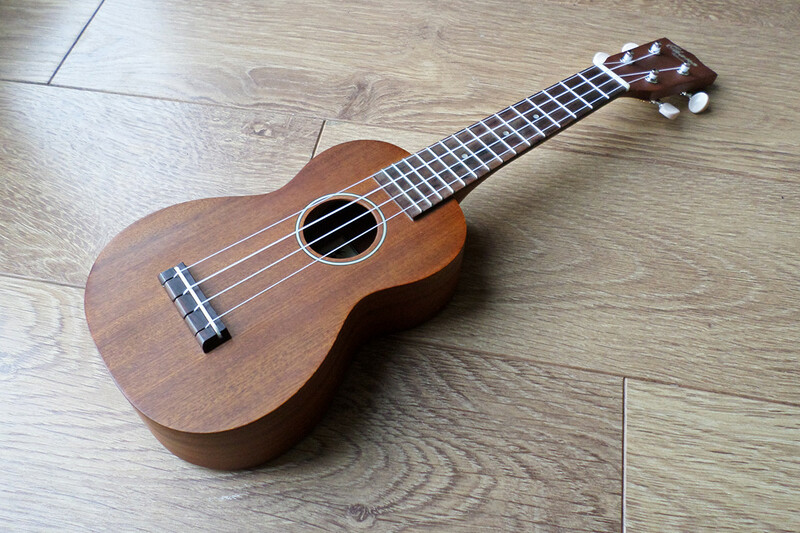 Hope you enjoy it Eduardo, it’s definitely my most played ukulele now.